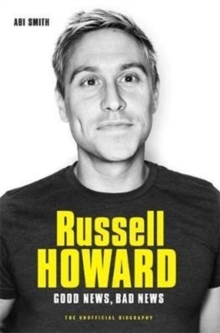 Good news, Russell Howard fans!It's time to take a butcher's into the mad, rib-tickling, insane yet lovable world of the one of the UK's favourite comedians. Abi Smith heads deep into the West Country to discover how people from as far as Midsomer Norton, Somerset to Minneapolis, USA fell in love with this energetic, mesmerising, boyishly blond Bristolian. How exactly has Russell, the kid who used to sleep with his underpants on his head in an effort to cure his acne, become the geezer who is now headlining shows at the O2 Arena, Wembley and the Royal Albert Hall?How has the timid boy who wouldn't speak at family gatherings because he was too shy become a TV panel-show heavyweight?How has the teen who wore his jeans back-to-front because he thought he looked like a cool rapper become an award-winning stand-up with a string of worldwide sell-out tours to his name?He might describe himself as the 'munter' of all his friends with his wonky teeth and lazy eye, but there is something rather special about this good-natured, good-fun dude whose favourite topics of stand-up quite often include his mother's hilarious antics. 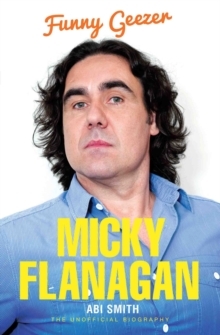 One things for sure, he might have been bullied at school, had haircuts from hell and missed out on a career as a footballer but he is certainly having the last laugh now - and we are in the front row laughing out-loud with him.